Keep Mosquitoes Away from Your Barbeque! Summer is a glorious season of time enjoyed outdoors with cookouts, pool parties, and… mosquito bites? 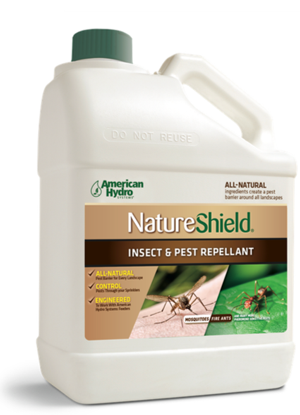 Prevent mosquitoes, ticks, fleas and other pests from ruining your summer fun with NatureShield. This all-natural insect and pest repellent uses essential oils from garlic, cinnamon, castor and cedar oils instead of chemical pesticides. The product works through your lawn sprinkler system. We are excited to offer this safe, natural option to our customers. Give us a call to learn more and start repelling those pests!